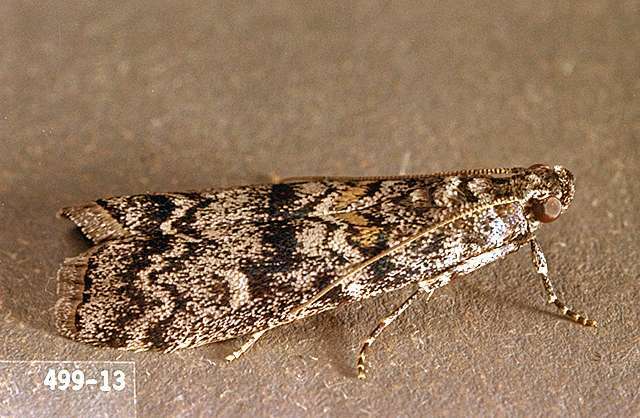 Pest description and damage Adult coneworms are mottled gray snout moths banded with subtle color. 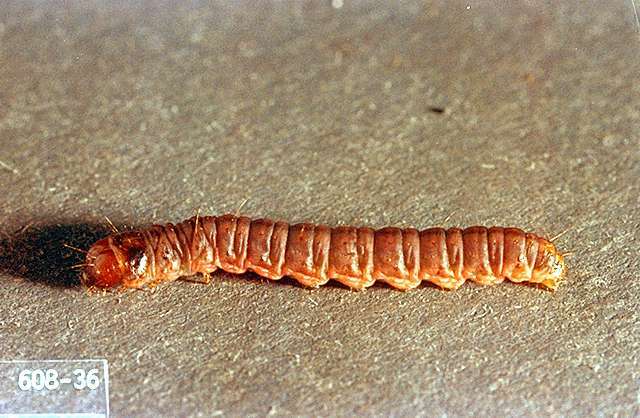 Coneworm larvae are small and cream-colored or light brown with a darker head. Coneworms attack true firs by boring into shoot tips or stems, especially around wounds, and feeding on the soft bark tissues. The portion of the branch beyond the injured point may die back. Coneworms also may bore into green cones, feed on the soft bark of young growth or on graft unions, or feed inside the bark on the trunk cambium. Coneworms also attack hemlock and spruce. There are many species of Dioryctria which feed on different parts of small plants, trunk and shoots as well as cones. Confounding the issue are insects of other orders that attack cones and a number of other small moths that bore into shoots. This damage can be a serious problem in Douglas-fir grown for seed. 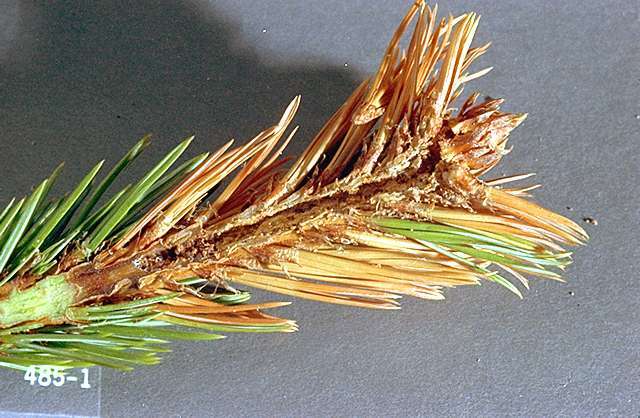 Plant resistant conifers where this pest is a problem. Remove and destroy infested cones and twigs when possible. Natural enemies of the coneworm are likely, but not listed. Cranshaw, W. 2004. Garden Insects of North America, p.180-185.